Panic! At The Disco have today announced a European Arena tour for March 2019! Their biggest European tour to date. Released in June this year, Panic! At The Disco’s sixth studio album Pray For The Wicked debuted at No.2 in the UK’s Official Albums Chart and No.1 on the USA’s Billboard 200! The album has spawned an array of huge singles including Say Amen (Saturday Night) and High Hopes. 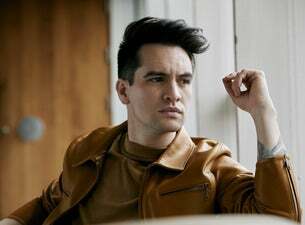 Frontman Brendon Urie recently launched Highest Hopes Foundation (HHF) - an umbrella foundation created to support the efforts of non-profit organizations that lead, develop, and advocate support for human rights for all people and communities subject to discrimination or abuse on the basis of gender, race, religion, sexual orientation and gender identity. Panic! At The Disco will be allocating £1 from every UK ticket from the band's Pray For The Wicked Tour to HHF.